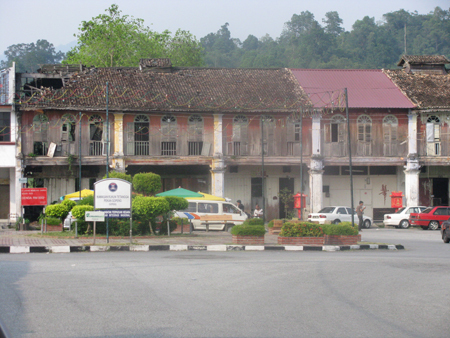 Our last Gopeng post related to the new museum there and also remarked that parts of the town were falling down. For those of you who do not know the place, here is a photograph of a row of houses just a few yards from the museum. What a dreadful sight to greet the visitor to the beautifully restored museum premises.